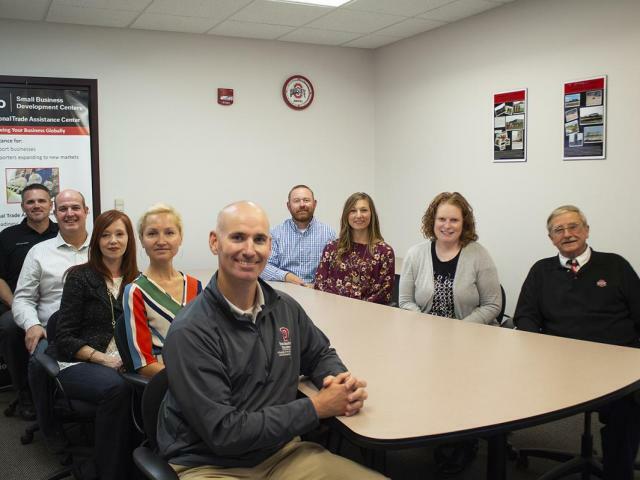 One of the core components of the Business Development Network at The Ohio State University South Centers continues to be the Small Business Development Center (SBDC). The SBDC provides business counseling and assistance to individuals who are either starting or growing their business. The Piketon center is staffed with highly trained, Certified Business Advisors (CBA) to help small businesses and entrepreneurs with development and growth to increase sales and create jobs in their local communities. A vital component of the SBDC is the Export Assistance Network (EAN). International markets provide opportunities for businesses to increase sales and create jobs. Many small companies do not have the expertise or resources to expand their business into international markets. The EAN helps companies to expand globally through counseling in the areas of market research, due diligence, general export education, export readiness assessments, and trade missions. Regional partnerships are the primary source of referrals for the SBDC at South Centers. Collaborative efforts with local chambers of commerce and economic development offices serve as the primary conduit to connect entrepreneurs with the services of the SBDC. South Centers also maintains formal agreements with local universities for regional economic development collaboration. Pike County Community Action and the Minority Business Assistance Center are also key partners with the SBDC. These relationships help the region’s entrepreneurs, business owners and small manufacturers with technical assistance and training. To schedule an appointment to meet with one of our highly trained counselors, contact Brad Bapst, SBDC Center Director at 740-289-2071 ext.230, or bapst.4@osu.edu.